Twenty-eight candidacies including that of incumbent President Paul Biya have been registered for Cameroon’s October presidential election. 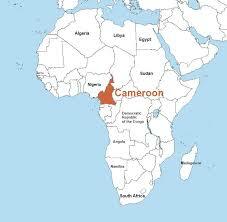 Elections Cameroon (ELECAM) said on Saturday it will publish the final list of candidates by August 8, two months before the elections scheduled for October 7. According to ELECAM, fewer candidates were registered compared with the run-up to the 2011 presidential election when over 40 applicants submitted bid for the presidency. In all likelihood, the new provisions of the electoral law, particularly those of the Electoral Code promulgated in 2012 which increases the deposit from CFA5 million to CFA30 million, are reportedly not unrelated to the drop in the number of candidacies. Nevertheless, the main parties that applied in 2011 are back in the running. These include the ruling Cameroon Peoples Democratic Movement (RDPC) with its national president, Paul Biya, the leading parliamentary opposition party, the Social Democratic Front (SDF), which this time has put forth its 1st vice-president, Osih Joshua, the Cameroon Democratic Union (UDC) which will once again be led by its president, Adamou Ndam Njoya, and the Alliance for Democratic Development (ADD) of former Minister, Garga Haman Adji. The newcomers to the race include Maurice Kamto, national president of Cameroon’s Renaissance Movement (MRC), and the former president of the National Bar Association, Akere Muna, who is running under the banner of the Democratic Popular Front (FPD). For the first time in Cameroon’s electoral history, there are at least five independent candidates.